We all like a bit of nostalgia (well, I used to, but it’s not the same now) and I had long looked forward to a visit to this, the National Trust Museum of Childhood. Friends had waxed lyrical about it and the sign always flashed by provocatively whenever driving along the A50. So the anticipation was similar to that experienced ahead of a promised trip to the toy shop – of course it was. Before we go any further, I should remind my regular reader that A Bit About Britain is sworn to objectivity (mostly). Because the visit to Sudbury Hall and the National Trust Museum of Childhood was hugely disappointing. On top of that was a slight sense of guilt about not enjoying it more, as there is certainly plenty to see and a great deal of trouble has been taken to arrange the museum. Maybe it isn’t arranged as expected (whatever that was), but, anyway, the logic of the layout somehow escaped me. Plus, I confess to an uncomfortable feeling of being lectured at, and slightly patronised, both by the printed material and some of the overzealous staff – who seemed to be everywhere. It was like being watched and pounced on by pushy sales assistants. One of the purposes of my visit was to quietly wallow in reminiscences; if I needed help doing that, I would have asked. I certainly did not feel the need to participate in an oral examination. One member of staff did tell me, in tones most of us reserve for eleven year-olds, “Children used to endure appalling conditions, you know.” Really? I had no idea. 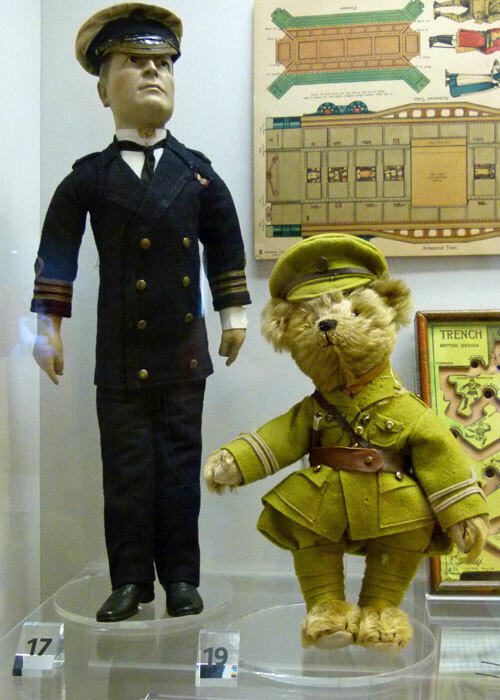 At this juncture, I should point out that the Sudbury Museum of Childhood is exactly that – it is not a toy museum. So it does set out to cover the experience of childhood – and this unsurprisingly includes significant information on the appalling conditions endured by children through the centuries. Perhaps some of us occasionally need to be reminded how lucky we have been and that childhood is often far from the universally precious time it should be, even today. The museum does try to explore the changing nature of childhood. 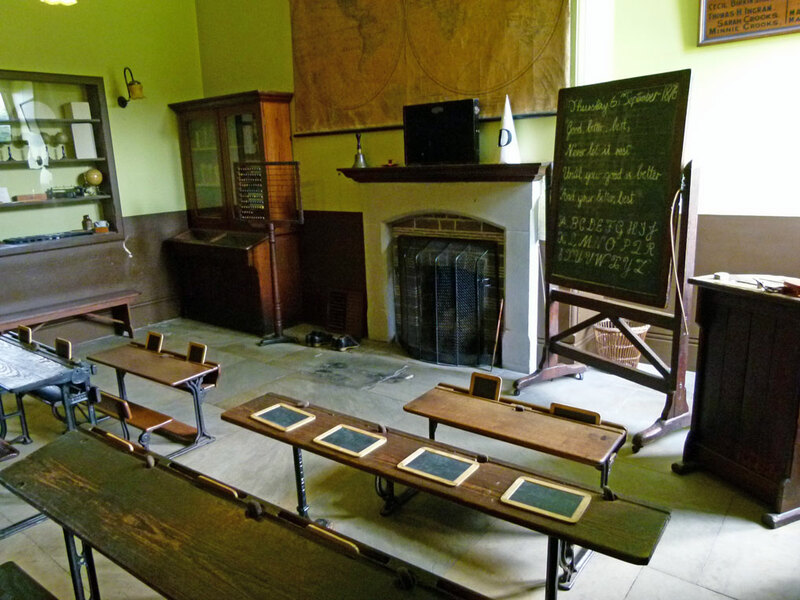 So, younger visitors can pretend to be a chimney-sweep or attend a Victorian classroom. There is an attempt to look at other cultures too, which might have been more absorbing; as it was, it seemed to me rather like a well-meaning gesture to minority interests. If you want to see toys, though, they are there in abundance. You can check out the Teenage Mutant Ninja Turtle, Dinky Car or Barbie that used to be your pride and joy, as well as get all misty-eyed about the things your kids or grandkids used to play with. 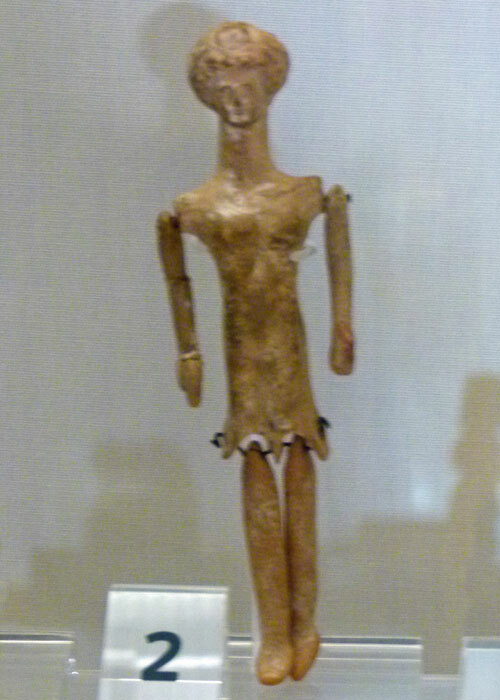 And some of the older exhibits are truly amazing – a terracotta doll, for example, from 400BC – it is mind-blowing, and slightly disturbing, to imagine a child playing with it all those years ago. However, on the whole I’m afraid I switched off fairly early on. Of course, it must be hard for serious museums to engage with and not bore the pants off the very young, whilst at the same time not alienating their mature market. Most museums strike the balance pretty well – though I have a general concern that many are becoming more tabloid in nature. 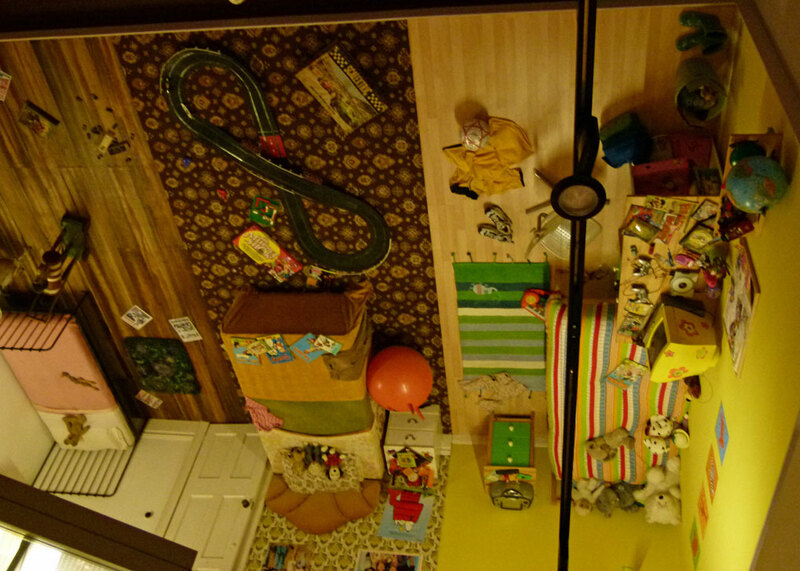 But Sudbury’s Museum of Childhood, in my view, is almost entirely geared toward a juvenile audience. Perhaps that is at it should be; perhaps not. Wondering if I was the only grumpy old sod in the world, I was pleased to see that at least one person on Trip Advisor appeared to be just as curmudgeonly about the place. But in fairness, most recent reviews from people visiting with children are quite positive. Many commented particularly favourably on the play area outside – and I must confess that this did look rather good (though is that part of the museum?). I should also add that our visit was made in 2012 – things may have changed since that time. The National Trust Museum of Childhood is housed in the converted servants’ wing of Sudbury Hall, a fine-looking 17th century Jacobean mansion also open to visitors. Unfortunately, Sudbury Hall was unexpectedly closed until 1pm on the day we visited. No explanation was offered, the National Trust demonstrating, not for the first time, its peculiar skill in customer relations. The house was home of the Lords Vernon and allegedly has some interesting plasterwork, a fabulous staircase and a wonderful long gallery – but I couldn’t really say. We wandered round the grounds…which are pleasant enough. Nice lake; loads of birds; enjoyable parlkand. 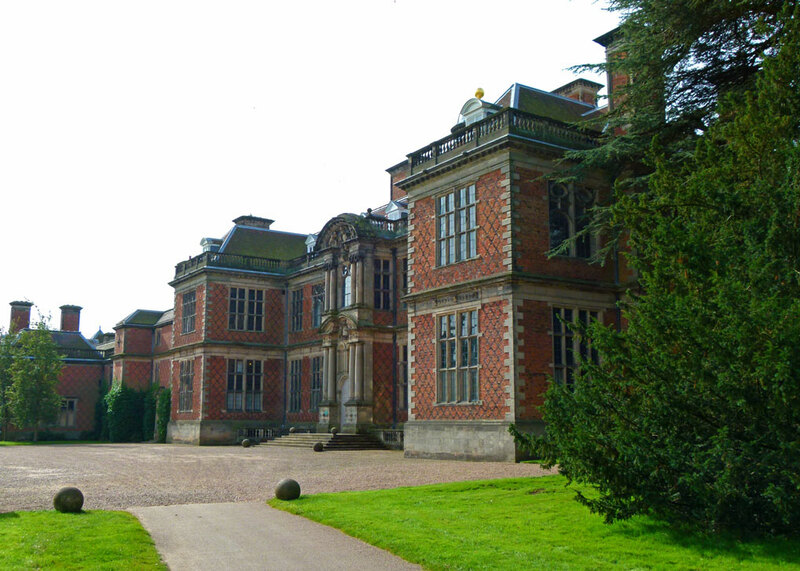 Regrettably, the A Bit About Britain roadtrip had to be elsewhere before 1pm, so Sudbury Hall missed out this time. A couple of tips if you do visit – the car park is a little distance from the house and the museum. There is a transfer service. You can buy separate, or joint, tickets to visit the house and the museum. Pocket-sized information about Sudbury Hall and the National Trust Museum of Childhood on the attraction directory. I still think it’s worth a visit, Hilary. On my last visit I preferred the hall to the museum. There were however some interesting features in the museum. I think I wouldn’t have been as patient as you! Thanks for your post and objectivity. It’s certainly amazing – resonates more because you can imagine a child playing with it all those years ago. The people who manage these kinds of exhibitions obviously have a number of fine lines to tread. It would appear that they’ve strayed a little with this one. Some visitors need/expect to be spoon-fed, while others (I include myself) would rather experience things more independently. I have a tongue in my head. If I need someone to expand on something in particular, I’ll ask. The Trust house near us (Mottisfont Abbey) seems obsessed with maintaining a busy events calendar. Some of the exhibitions are very well presented, but there is a leaning towards various themed trails for kids; which is fine, but even kids can become trail-weary. Oh goodness what fun! This just my kind of place! I’m kind of a child at heart I guess,maybe it’s having children and now grandchildren, but I have many of my own childhood games and toys that we all still play with! It’s a wonderful life of play! 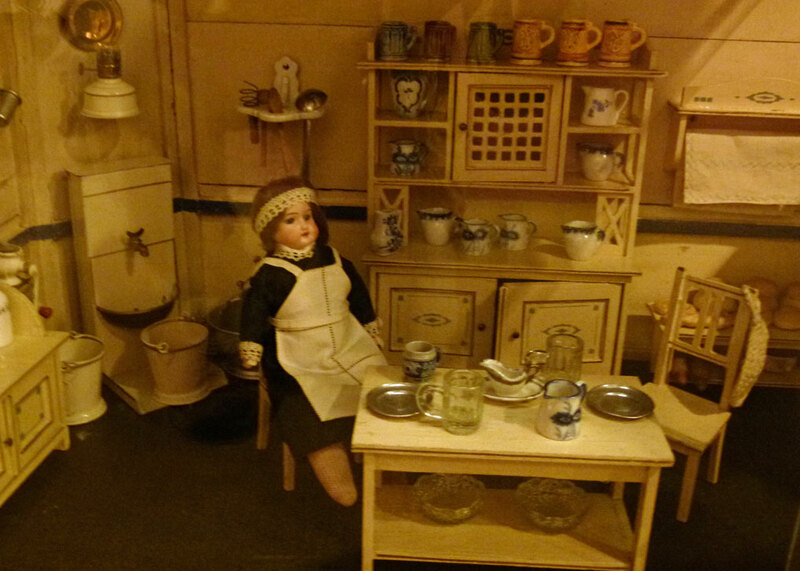 It’s years since I visited Sudbury Hall and the Museum of Childhood but I remember being rather underwhelmed by it. I too hate being accosted by people trying to push information onto me when I’m actually lost in my own little world and enjoying myself. As you so rightly say – if I want to know something I’ll ask. When I went (possibly back around 2012 as well) one of the staff seemed to take it on herself to play the part of the Victorian school ma’am and proceeded to tick me off about my posture and having my hands in my pockets. Being the polite girl I am, I didn’t point out to her that I have a spinal deformity and that’s as straight as I get – or that I walk with my hands in my pockets in order to avoid the pain said deformity sometimes causes. The hall’s OK. But don’t make a special effort to visit. Sometimes it pays to be a little blunt. I am becoming increasingly fed-up with both the NT and English Heritage assuming that we can’t appreciate a building or a period in history without dressing-up and acting out scenes. Some places are worse than others but I too, can’t bear to be lectured at or followed round a room by someone eager to tell me what to think, or seeing hundreds of little notices with info-bytes on them. My husband and I find it difficult finding a day to visit a property that doesn’t have activities provided for us. I realise that many children expect to be entertained in this way as their school lessons are similar but many of us (and that includes children and young people too) like to take our time and use our imagination. It seems several of us think that heritage is in danger of being dumbed-down! Too bad, it sounds like an interesting museum, one I would have enjoyed. But I hate it when docents hover, I know what I want to see and can read info if needed. I had to look up ‘docent’! An unusual concept for a museum. Sudbury Hall is a beauty. Thank you Mike for giving us your opinion. I do think missing the Hall was part of the disappointment of your visit. Your blogs are always interesting to me. I visited England four times and am now traveling in my armchair. Thanks, Nancy – that’s lovely! It can be very disappointing to have an experience like this. You’ve been looking forward for some time to seeing a place and have somewhat built it up in your mind, and it turns out to be nothing like you expected. What a let down! I’m sorry this museum didn’t live up to expectations (sounds like it didn’t come close). We’ve had that experience before, too. You feel like you’ve rather wasted a whole precious day of your time. 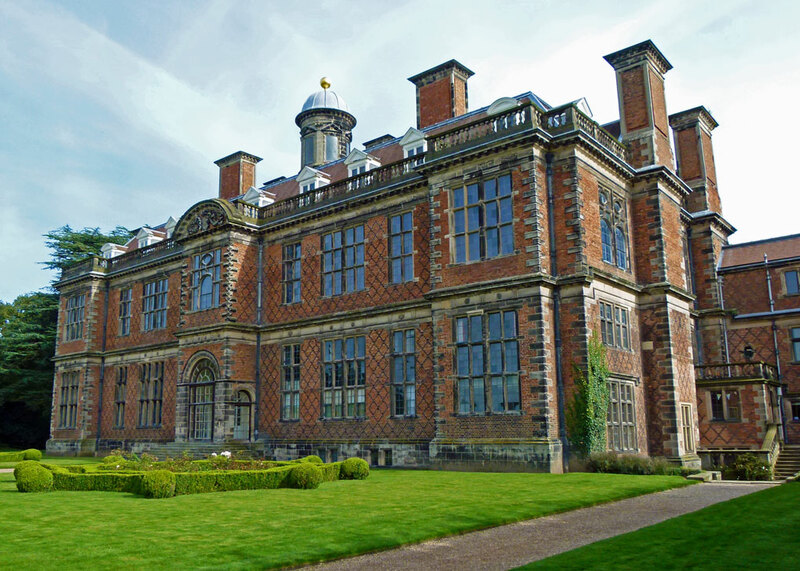 Sudbury Hall looks quite beautiful; it’s a shame that was closed when you were there. The pictures of the museum are good, but it does sound geared entirely towards children. Maybe they have a lot of school groups to visit? Anyway, at least you can check this one off your list. Hope you have a good week, Mike!! What you say about slightly patronizing staff – well, that would have rather annoyed me. I love it when volunteers are enthusiastic about the house/museum they work at, and more often than not, I have found them an invaluable source of information and inspiration. Still, all that information is much more welcome when it is requested, not pushed at you.